Domesticand International volunteers and interns are a valuable asset for any non-government organisation. Jagran welcomes all volunteers and interns who are professional, experienced or skilled in a variety of areas. In return, we offer accommodation, food, rural visits, education, entertainment and tourist activities for minimal daily fee. Rest assured that 100% of the volunteer fee goes directly to the organisation to ensure that your needs and resources are met throughout your experience. Jagran is a warm and friendly working environment, open to international visitors and new ideas. 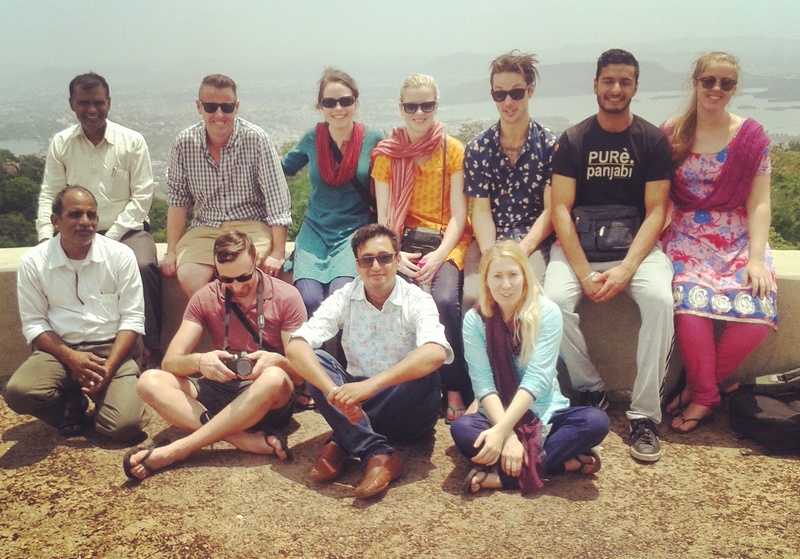 It is important to approach your time at Jagran with a spirit of sharing and culture exchange. JJVS has a long history of hosting volunteers from India and abroad. We highly value our volunteers’ inputs and work and enjoy the exchange of ideas and local culture in our operational areas.We have hosted independent volunteers as well as organisations such as Hands on Health Australia, Minnesota Studies in International Development, RMIT University Melbourne, among others. A resident volunteer coordinator will help you attend to any issues you need to address during your stay. Staff are flexible in designing a work program suited to your skills prior to your arrival. This may involve working on an organic farm, grant writing or participating in a Health Camp. Volunteers/Interns are also encouraged to join Jagran’s ongoing program of classes and field trips. Classes include Ayurveda and herbal medicine, Hindi, cooking, culture and community development. Afternoon fieldwork in surrounding rural areas provides the opportunity to visit villages, share skills and work with indigenous people. Weekly overnight field trips are also optional in the villages. A letter of acceptance will be emailed within ten days after your application is submitted. Part-payment is required by Paypal or direct debit (see details on website) before arrival. These positions would suit professionals, graduates or students looking to contribute meaningful research and grant applications whilst gaining invaluable work experience in a grassroots organisation. JJVS has a rich and diverse history of community and agricultural development, as well as the promotion of traditional systems of medicine. Previous projects have included livelihood training, environmental research, health surveys and microfinance proposals. India has the highest levels of maternal and neonatal deaths in the world. Annually in the nation, there are about 30 million pregnant women and 27 million have live births. Only 34% of pregnant women in India have institutional deliveries, and 42% receive professional medical care. Conversely, in rural regions, over 60% of childbirth deliveries take place in the home. In India at large, the maternal mortality ratio is 301 per 100,000 live births. In the state of Rajasthan, this ratio is approximately 445. This figure boils down to one mother dying every five minutes. The infant mortality rate in India is also extreme and on average comes out to 70 per 1,000 live births. As part of the National Rural Health Mission (NRHM), the government introduced a scheme in 2005 called Janani Suraksha Yojana (JSY), which seeks to lower India’s dire maternal and infant mortality rates by providing financial incentives for both formal frontline health workers and pregnant females to deliver in government-recognized institutions. An opportunity exists to conduct research on infant and maternal mortality rates, as well as pre and post natal care and reproductive health. Surveys of the area and documentation are greatly needed in order to assess the demand for maternal health services in the Greater Udaipur region. Previously JJVS have worked to build the capacity of Dais (Traditional Midwives), however the need to develop a Maternal Health Clinic or Birthing Centre is pressing. In order to achieve this, JJVS require a full-time intern who will not only research and assess the feasibility of such as project but also document information and write grant proposals to several institutions. Applicants that wish to gain academic credit must arrange this with their university before arriving to India. There may be some rules and restrictions regarding the placement and we will be more than happy to help where we can. Applicant: Position would suit a student, graduate or professional in the areas of Public Health, Maternal Health, International Development, Community Development, or other relevant studies. Must be mature minded and work well both in a team and independently. Previous Experience: Previous experience in a small NGO and in a developing country is desirable but not essential. All interested applicants are encouraged to apply. The state of Rajasthan contains the second largest mineral reserves in India, producing 42 varieties of major minerals and 23 minor minerals. Significant deposits of rock phosphate are located within the state, such that 75% of India’s annual rock phosphate production comes from Rajasthan. By far the largest source of rock phosphate is located in Jhamar Kotra, a small village 26 kilometres south east of Udaipur. This is where Jhamar Kotra Mine, owed by the Government Company Rajasthan State Mines and Minerals Limited, is located. In 1998 a private fertilizer company, Rama Phosphate, built the first fertilizer factory in Umarda, a small village located 9kms north-west of Jhamar Kotra and 16kms south-east of Udaipur. Since the establishment of Rama Phosphate an additional 7 private (possibly 8) fertilizer factories have been built in Umarda. These industries are having extreme effects on the environment, agriculture and health of the local population. An opportunity exists for an appropriate intern to conduct further research into the industry and to assess the industry’s impact on the local populations. Research into avenues of government schemes and alternative livelihood schemes would then be an essential part of the internship. Applicant: Position would suit a student, graduate or professional in the areas of Environment & Sustainability, International Development, Community Development, or other relevant studies. Must be mature minded and work well both in a team and independently. JJVS has extensive experience working with marginalised villages to help introduce new sustainable agricultural practices and reinvigorate old ones in order to increase the livelihood of its people. However, agricultural, horticultural and environment interns can provide new perspectives and expertise whilst gaining invaluable experience in India. According to a 2005 report on water in Current Science, the area of India with the highest rainfall receives about 11,690 mm whereas arid regions such as those found in Rajasthan may only experience 100 to 150 mm of annual precipitation (Kumar, Singh, and Sharma 795). In Rajasthan alone there is a great discrepancy in rainfall from region to region. The portion of the state that is northwest of the Aravalli Mountain Range remains arid while areas to the east and south of the mountains are moist. This can be largely attributed to the fact that the Aravallis naturally direct rainfall and water drainage to the east and southeastern side of the state. In a country where water resources are scarce to begin with, the population relies heavily on efficient resource management to ensure that all citizens’ water needs are met. The natural inequality of distribution must be counter balanced by self-regulated, man-made equality. Desertification and erosion in Rajasthan continually expand to the east increasing the total area of arid land. Without proper planning and infrastructure development, inhabitants of dry regions may easily become victims of famine during long periods of drought. An opportunity exists for an intern to conduct further research into the water distribution in the Greater Udaipur Region as well as identify potential water storage opportunities for immediate and long-term solutions. Applicant: Position would suit a student, graduate or professional in the areas of Environment & Sustainability, Agriculture, International Development, Community Development, or other relevant studies. Must be mature minded and work well both in a team and independently. Interns and volunteers can play an invaluable role as media and communications gurus within NGOs. Your excellent communication and tech savvy media skills are essential for the publication of promotional material and general day-to-day report writing. This is an excellent opportunity to utilize your skills whilst gaining indispensable experience working in a small NGO within a developing country context. 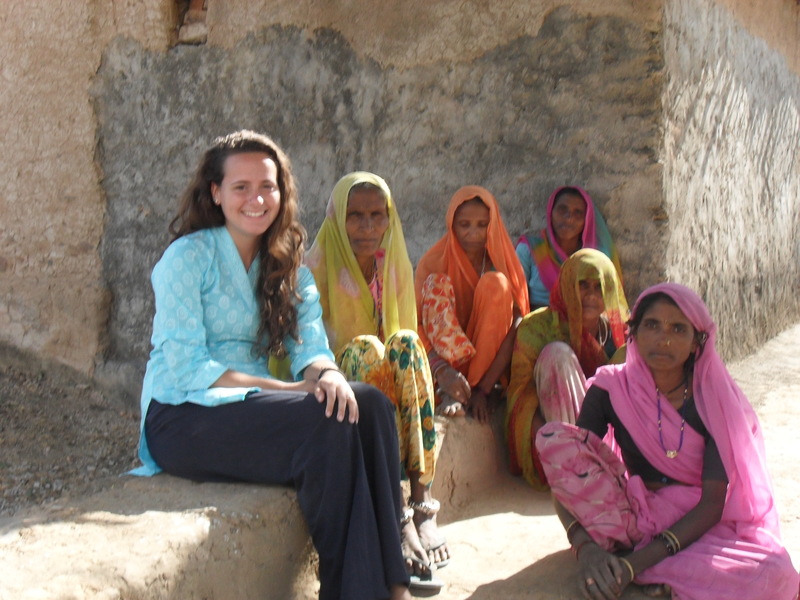 Field visits and working first hand with the most marginalised communities in Udaipur make this an incredible experience. Opportunities exist for interns to help with the everyday report writing and production of publications for the organisation. Such writing may involve compiling Annual Project Reports or creating brochures and material for International audiences. This is an evolving position and interns will be required to work with staff in the areas that they are most needed. Applicant: Position would suit a student, graduate or professional in the areas of Media and Communication, Environment & Sustainability, Agriculture, International Development, Community Development, or other relevant studies. Must be mature minded and work well both in a team and independently. The opportunity exists for a filmmaker, photographer or marketing student, graduate or professional to create advertising and promotional material for the organisation’s website and publications. There are several areas that the intern may choose to focus on including Traditional Health Workers, Traditional Medicine, Agriculture and Livelihood Projects. Applicant: Position would suit a student, graduate or professional in the areas of Media and Communication, Film, Photography or other relevant studies. Must be mature minded and work well both in a team and independently. You may be interested in working in any other of the many areas of JJVS such as Microfinance, Livelihood Training and Traditional Healthcare. Please contact with any questions and we can help formulate and accommodate a project for you.